So, although handwritten at first, before the invention of printing, and on vellum or parchment before the advent of paper, bound in leather or wood before the invention of cardboard, the object has been a familiar one for getting on for two millennia. It’s obviously much more widespread nowadays, too, and relatively cheaper – somewhere I recall reading that in Chaucer’s time, when a book still had to be hand-written by a scribe, it would cost roughly the same amount as a modest house… were that still the case, I’d be a multi-millionnaire! When you look more closely, a book is a marvel of versatility. Nowadays, it can contain illustrations or not. It can be cheaply produced for mass circulation, as a paperback, or made more lasting and durable, printed on acid-free paper and in hard covers. It can vary greatly in size, from the smallest paperback to the huge Times Comprehensive Atlas which I value so much. It can be an exciting novel or a dull telephone directory – though why they bother to produce those any more, I cannot fathom. The way it’s laid out is also logical as well as variable. After the title page, there can be a contents page; at the end there can be an index, although some countries have the – to me – rather curious convention of putting both contents and index at the end of the book. Notes can be included, as foot- or end-notes. And – though less common nowadays – at the very end, other books which might be of interest to a reader can be discreetly advertised. People have prophesied the disappearance of the printed book for most of my life, initially in fantasies about an electronic future, and more recently with the appearance of e-readers and tablets. And yet recent surveys have show that our friend the printed tome continues to hold its own, even to become more popular, whilst its electronic rival fades – our leading chain of bookshops has discontinued selling the most popular brand of e-reader. And I can see why. I find my e-reader a frustrating device. I know I’m not a typical user: I have to remind myself of its very existence somewhere among my piles and shelves. But it’s not easy to move around an e-book, to flip from page to page, to keep a thumb in one place while I read another, to look back to the contents page or to the index. Footnotes get shunted all over the place. In the end, as often as not, I just don’t bother. The only real advantage the e-reader has is that I can carry several hundred books around in the physical volume of a single paperback. 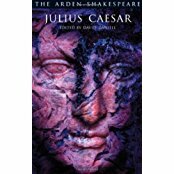 When, perhaps in ten years’ time, someone has developed an e-book with pages like a real book has, but that can display the text of any book and all my books, perhaps storing their text and illustrations in memory built into its hard cover, then, perhaps, the printed book may be on its way out. I’m not holding my breath. I’ve been having a tidy-up and clear-out, and rediscovered this, which is one of those books that you come across once in a while, that do a superb job in explaining key concepts and background material in cultural and literary works. Danby’s work, although more than half a century old, seems to me to sit alongside other such classics as Huizinga‘s The Waning of the Middle Ages, and Tillyard‘s The Elizabethan World Picture: essential reading for students who need to have a clear understanding of the ideas and thinking of another age. 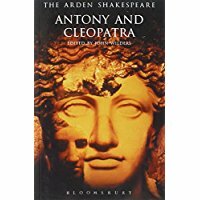 I’ve found, over years of reading and study, that many books, particularly history and literary criticism, are rewritten by each generation (academics do have to make a living, after all), with new interpretations and updated expression and examples replacing those of a former age, but I haven’t yet come across what could replace any of the books mentioned above. 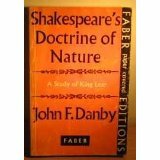 Danby’s book is certainly an excellent key to making sense of the word ‘nature‘ in King Lear, two diametrically opposed meanings of which are illustrated and explored both through the action and in certain key characters in that play; that is where I first came across the book more than forty years ago. 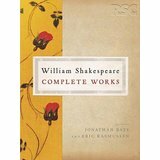 The explanations and the illustrations are precise and clear, and Danby widens his scope by bringing in aspects of, and characters from, Richard III, King John, Henry IV (both parts) Julius Caesar, Hamlet, Troilus and Cressida, Othello and Macbeth, to flesh out his thesis and illustrate developments in Shakespeare’s overall thinking. 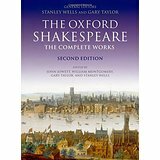 Through his close focus on Nature, we can also perceive more clearly how what Shakespeare has to say in his plays remains relevant to us today, even though we may nowadays use different words to articulate our feelings and fears.